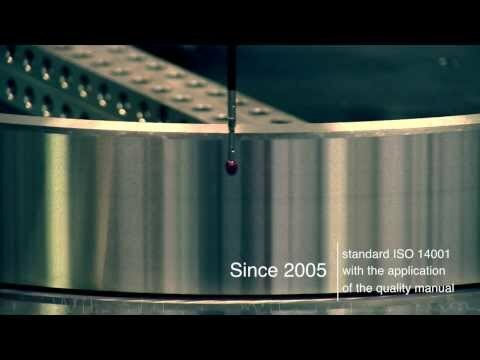 Watch new video of FARO BEARINGS! The video shows FARO’s Italian headquarter located in Calendasco (PC), Italy. Faro has been on the market for special bearings for over 35 years and has recently increased the production reaching 6000 mm. in the external diameter. The iron and steel industry is one of the main sectors for which FARO supplies special bearings for cold rolling mills, hot rolling mills and flattening. Faro is able to provide its clients with a verification of finite elements of the structure of the bearings to analyze the stress state of a component given a certain load. The quality department is divided in two sections.